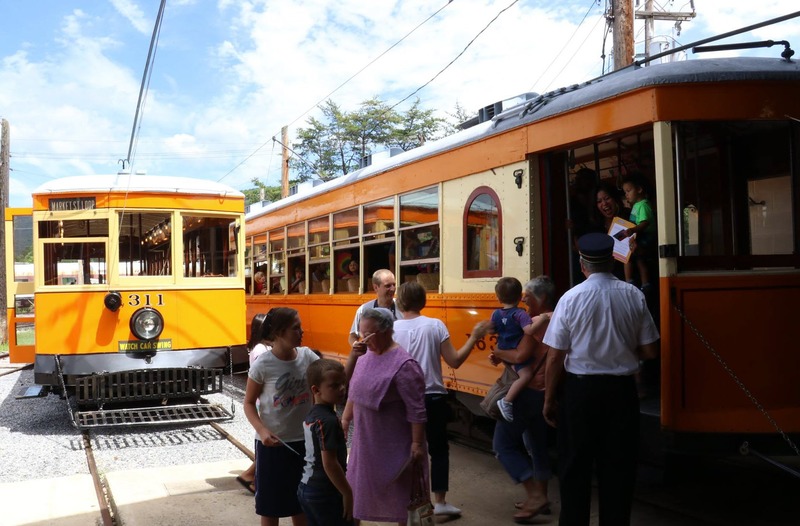 Have you ever ridden a real trolley car and heard the ting-ting of the trolley bell, the growl of the gears, and the ticka-ticka-ticka of the air compressor? Visitors to the Rockhill Trolley Museum take a step back in time, to when many American towns and cities offered inexpensive and convenient transportation using electric trolleys. 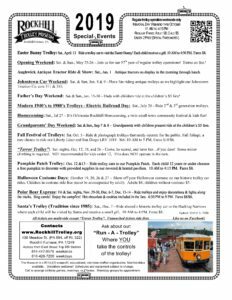 Visitors of all ages enjoy visiting the Rockhill Trolley Museum! Our collection has several operational trolleys, including an open car, high-speed interurban cars, fascinating maintenance-of-way cars, and two PCC Cars, and our talented volunteers are always working on restoring more cars in our shops. While enjoying a leisurely ride through the scenic countryside, you and your family can learn about trolleys and how generations of Americans before ours got around. For more details about what you’ll see, click here.